This title provides a practical, user-friendly overview of the essentials of international arbitration in the energy industry. Leading practitioners from international law firms and global companies consider, among other things, the effective drafting of arbitration clauses, how to keep international arbitration affordable, gas price arbitrations, EPC and construction arbitrations, investment treaty disputes under the Energy Charter Treaty, third party funding in international arbitration and enforcement of arbitral awards. Edited by Ronnie King, Tokyo Managing Partner and international arbitration expert at international law firm Ashurst LLP, this title will be of practical value for all lawyers advising in the energy industry, and for others who have an interest in the important issues discussed. This Special Report focuses on law firms' gender pay gaps with statistics from the top 50 law firms. This follows new UK government regulations that came into force in April 2017 which required statutory reporting of the gender pay gap for the first time. The report analyses what individual law firms are doing to fix the gender pay gap, including work allocation, mentoring, maternity support, parental leave, women lawyers’ networks with analysis from HR directors and lawyers. 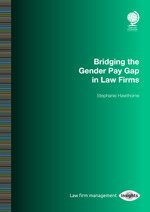 This cutting edge report will be essential reading for law firm management and practitioners keen to understand the gender pay gap in law. With an increasing number of cross-border strategic corporate reorganisations in today’s fast changing global environment, understanding of and compliance with the latest regulations and requirements is of vital importance. 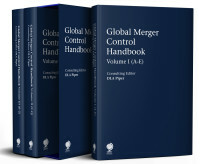 To help you navigate through the various specific merger control regulations, this comprehensive three-volume major work offers a thorough and very detailed overview of relevant local rules, methodology, process and timing requirements across over 55 jurisdictions, on a country by country basis. This new edition provides a practical guide to international arbitration. Written by leading experts Stuart Dutson from Simmons & Simmons, Andy Moody from Baker McKenzie and Neil Newing from Signature Litigation, this title explains the stages of the arbitration process in a straightforward manner and from a practitioner's perspective. The authors provide guidance on drafting the arbitration agreement, commencing arbitration, selecting the arbitral tribunal, drafting pleadings and evidence, managing oral hearings, liaising with the tribunal throughout the arbitral process and enforcing the final award. New to the second edition is expanded coverage of Asia, including chapters on China, Hong Kong, Korea and India, as well as topic-based chapters focused on topical developments surrounding the unitary patent and the European Patent Office. 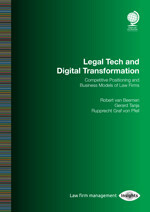 This Special Report on Legal Tech and Digital Transformation offers a practical framework on the impact of technology, legal tech and technology-based legal services on the formulation of strategy in law firms; how legal tech affects the competitive positioning and business model of law firms and how national and international law firms implement technology. The report will offer essential reading for law firm leaders concerned with how to engage effectively with legal tech today. This practical title outlines in a single volume the essential principles involved in the life of a mining project, from preliminary agreements, to the sale and purchase of minerals, and the decommissioning of mining assets. It is intended as a practical guide for anyone seeking a better understanding of key commercial and legal principles and documentation involved in finding and developing a mining project. 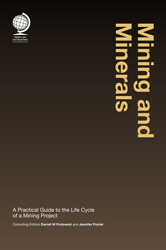 co-edited by Canadian law firm Cassels Brock & Blackwell’s Darrell Podowski, a highly-ranked expert in mining law, and Jennifer Poirier, organiser of Canadian-based mining association, the Young Mining Professionals, this practical title features contributions from leading practitioners around the world. This new edition of our best-selling title outlines in a single volume the essential principles involved in documenting oil and gas transactions, from the upstream exploration phase to transportation by pipeline and liquefied natural gas to sales and marketing. 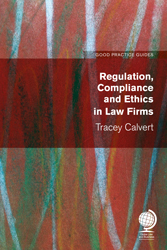 It is intended as a practical guide for anyone seeking a better understanding of the commercial and legal principles involved. Edited by Renad Younes, Partner at international law firm Ashurst, the fully updated third edition features contributions from leading practitioners including experts at Dentons, King & Spalding and Ashurst. It is essential that law firm owners and managers acknowledge and have strategies to accommodate risk management, regulatory and legal compliance and ethical values in their business and an understanding as to how this will be achieved. This guide is intended to provide lawyers with the language, arguments and practical solutions which are needed. 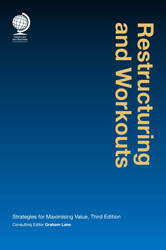 This third edition of 'Restructuring and Workouts: Strategies for Maximising Value' provides an essential resource, providing legal and practical guidance for restructuring professionals. Fully updated since the last edition in 2013, it includes several entirely new chapters, with in-depth coverage and analysis including overviews of the current market, a focus on topical sectors including retail and offshore, analysis of legal regimes in France, the US and Spain, examination of key themes including distressed M&A and an exclusive retrospective from the architects of the Lehman Brothers restructuring. This special report presents practical strategies for law firms to protect and sustain their financial performance and profitability as changing client expectations, advanced technology, and global competitive forces are fundamentally changing the legal services industry. The authors demonstrate how the traditional factors influencing profitability remain valid, but must be adapted to new financial realities. 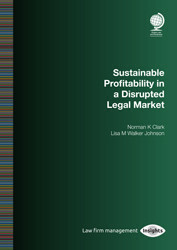 The report focuses not only on what sustainable profitability means, but also how to achieve it in any law firm. This book offers a pragmatic, detailed clause-by-clause review of the most recent (2012) version of the conventional petroleum AIPN JOA. Each clause is analysed in depth by reference to: (1) a statement of what the clause says; (2) a summary of the intended meaning of the clause; and (3) observations on how the clause tends to be modified in practice and might be improved. The book also analyses the major appendices of the AIPN JOA, including the accounting procedure and the lifting procedures. The book will be invaluable to legal representatives, financiers, commercial managers, operational personnel and government parties who are dealing with the AIPN JOA, whether for the first time or from a position of relative familiarity. 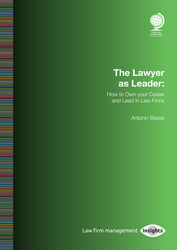 This special report is a practical, experience-based guide to personal development at every stage of a lawyer’s career. The author draws on over 30 years as an international commercial lawyer and senior partner in a Magic Circle firm to offer a roadmap for moving from a “What’s expected of me?” mindset to self-leadership and leadership of others. The report’s main theme is that retaking autonomy and control can transform engagement and fulfillment in a legal career. This practical book draws upon the author’s 25 years’ experience in turnaround management and guides the reader through the key issues including staunching cash burn, creating cash generation, identifying viable business elements, eliminating loss-making sectors and excess cost, and identifying a revised strategy, a credible business plan and the management team to implement them. As the world shrinks due to enhanced communication through technology, the choices available to companies in search of equity expand. For the advisers guiding those companies, the alternative markets that can be recommended increase year on year. This new edition seeks to assist those who may be interested in the equity markets in analysing the choices available to them and features fully updated contributions from leading practitioners in the field in a selection of major markets, including Australia, China, Dubai, South Africa, the United Kingdom and the United States.